e-con Systems is a Silver level partner of Cypress Partner Program. e-con systems is continuously releasing development kits/reference design specifically for the developers to start their own product development using the Cypress USB 3.1 Gen 1 Controller. e-con Systems is a very early adapter of Cypress USB 3.1 Gen 1 Controller from the launch to till now. e-con Systems has got a very good expertise on the product development using the Cypress USB 3.1 Gen 1 controller. TANIA (See3CAM_CX3_SNI_ISP_RDK) is a USB3.1 Gen1(5Gb/Sec.) 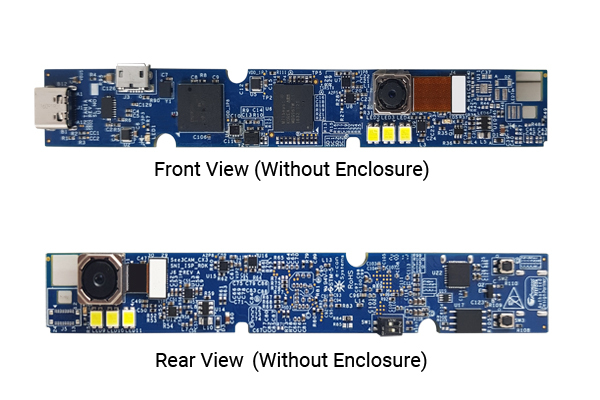 UVC (USB Video Class) Reference Design Kit developed using Cypress® Semiconductors' EZ-USB® CX3™ and Socionext Milbeaut® MBG967 Image Signal Processor(ISP). TANIA has dual (21MP rear (IMX230) and 13MP front (IMX258)) color autofocus camera modules. 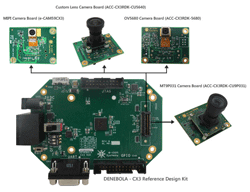 Cypress Reference Design Kit, Denebola (See3CAM_CX3RDK) is an USB 3.0 - USB video class (UVC) camera RDK for Cypress® Semiconductor's EZ-USB® CX3™ USB 3.0 peripheral controller. The Cypress EZ-USB® CX3™ is a USB 3.0 peripheral controller that enables developers to add USB 3.0 connectivity.